Beautiful sea shells, washed up on beaches or found in the shallows, are prized by collectors for their delicate shapes and colours. 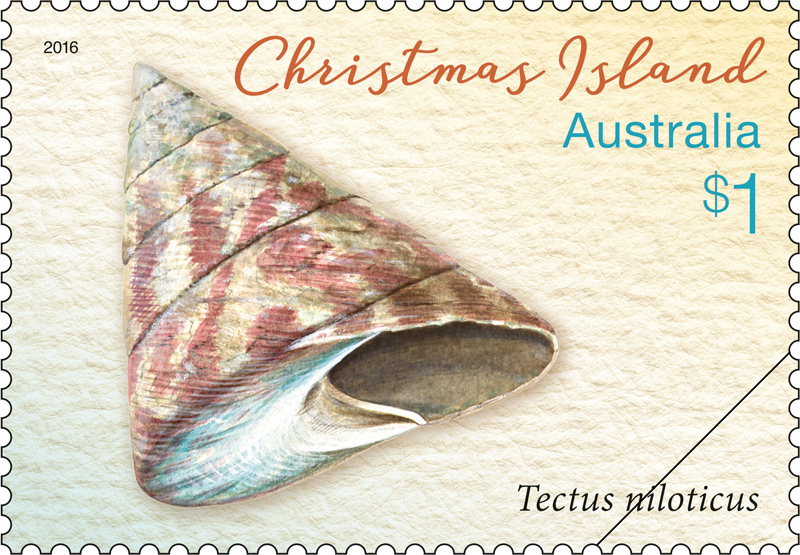 This issue features four species of marine mollusc found in the tropical waters around Christmas Island. 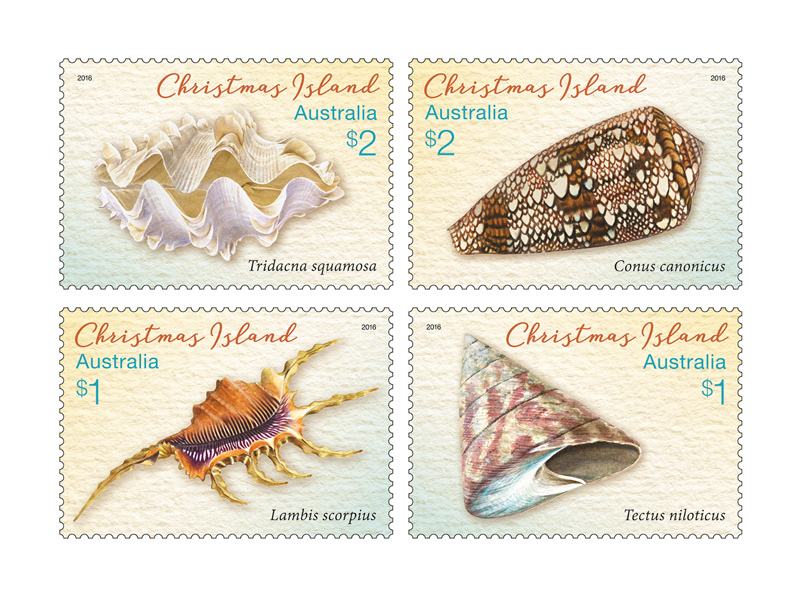 The approximately 708 species that have been collected on Christmas Island include representatives from four groups or classes: Polyplacophora, Gastropda, Bivalvia and Cephalopoda. 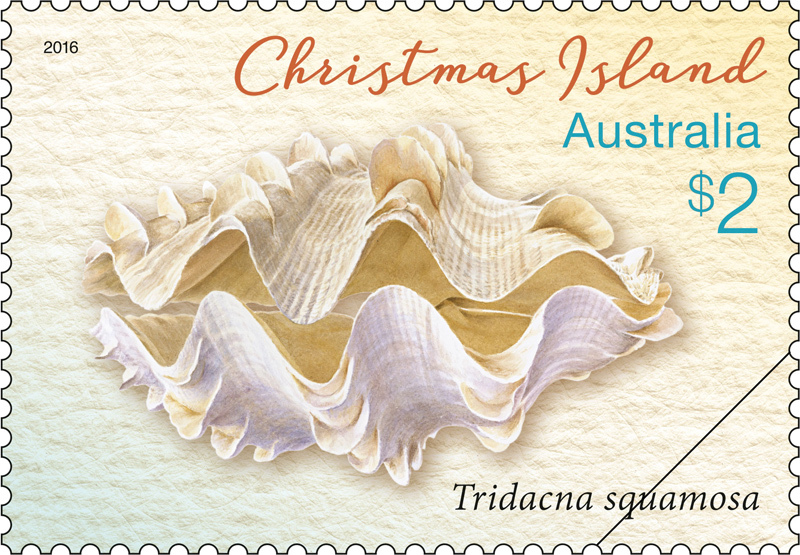 The stamps represent three Gastropoda: Lambis scorpius, Tectus niloticus and Conus canonicus and one Bivalvia, Tridacna squamosa. 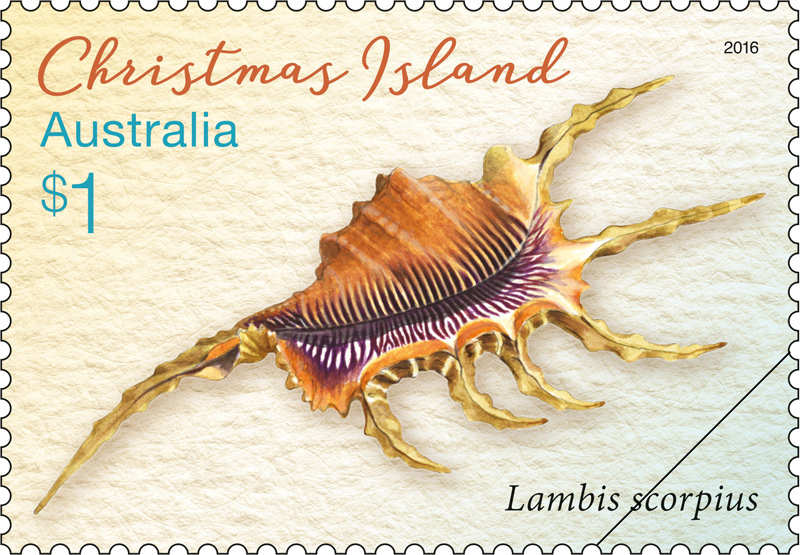 Lambis scorpius is a spider shell from the Strombidae family, measuring around 16 centimetres in length. Tectus niloticus comes from the Trochidae family, one of the largest of the gastropod families. Trochids have a spiral, pyramidal or conical shell. It is around 15 centimetres long. 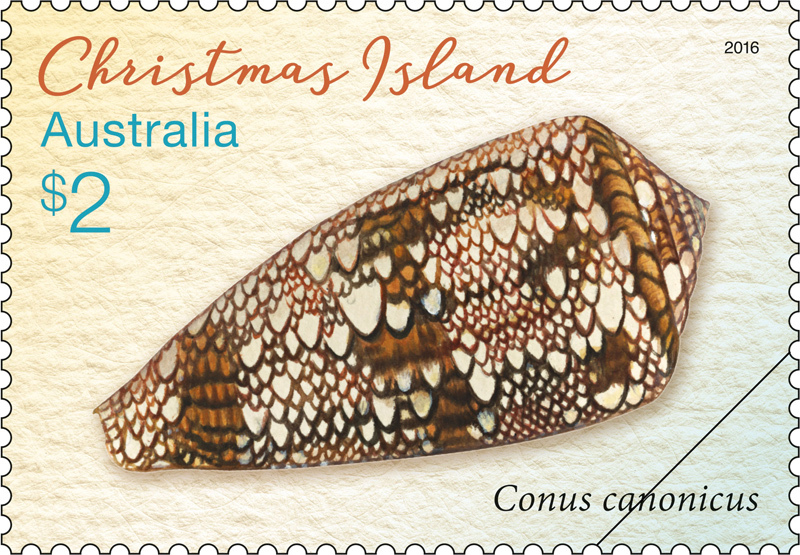 The three-centimetre long Conus canonicus comes from the Conidae family, of which 43 species have been recorded on Christmas Island. Tridacna squamosa comes from the Tridacnidae or giant clam family. This large species measures 30 centimetres across.